Jacksonville protests for trans rights | Fight Back! 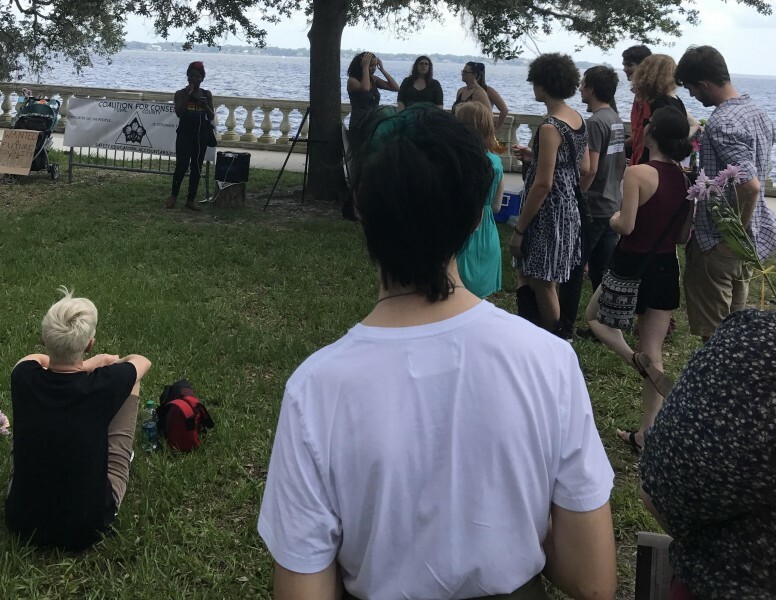 Jacksonville, FL - Around 50 people rallied for trans rights at Memorial Park in Jacksonville, June 24. 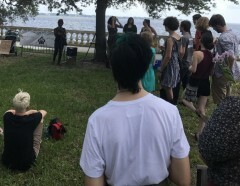 Organized by the Coalition for Consent, Jacksonville Transgender Action Committee along with other groups, protesters rallied to demand an end to attacks on the trans community, especially oppressed nationality trans women. Protest organizers led chants of "No justice, no peace, no transphobic police." Other chants included, "Queer is hot, war is not, queer is hot, Trump is not." So far 13 trans women have been murdered this year. Protesters demanded an end to these attacks as well as end to laws that criminalize the trans community.